When entrepreneurship major Laura Schuemann made a bowl of quinoa macaroni and cheese for her mom, an idea was born. The versatile nature of mac and cheese allowed Schuemann to take a classic crowd pleaser and turn it into a healthy alternative by using quinoa as the base instead of noodles. Now, Schuemann is in the recipe development stage of her new venture, Quinoa Kitchen, as a food truck serving something different than traditional fast food. 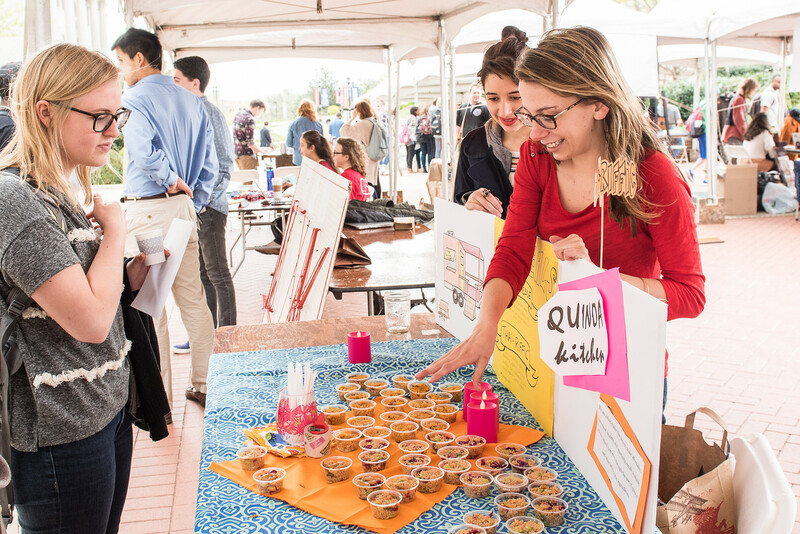 Schuemann and her team set up a booth at the Fourth Annual Entrepreneurship Village on Wednesday, sponsored by Belmont’s Center for Entrepreneurship, to hand out samples of the “Quack and Cheese” and a more recent compilation: the Thai-Riffic quinoa salad. “The mission of Quinoa Kitchen is to give a healthy alternative to fast food by offering the feeling of indulgence by using the same yummy ingredients, but you’re not indulging,” she said. Schuemann hopes to launch the truck within a few years after she graduates this December. 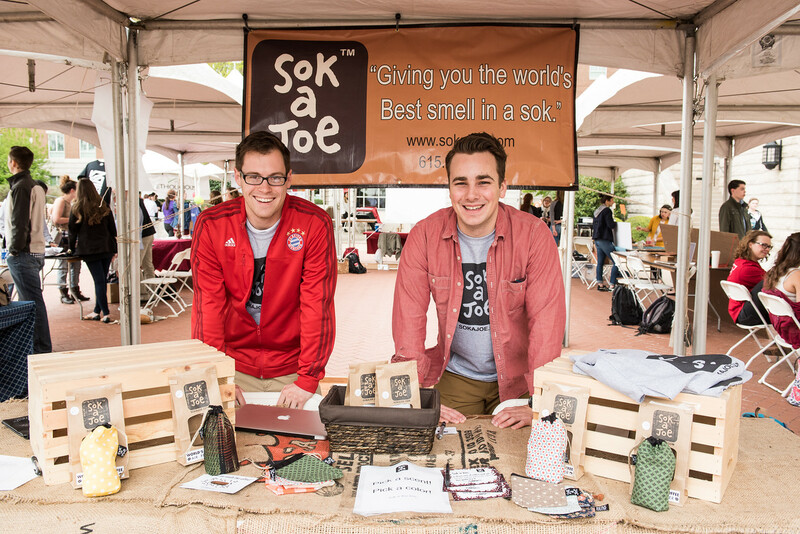 Quinoa Kitchen was one of 33 student-owned businesses that participated in this year’s event. This will be the first year the event featured current student-only ventures, dedicated to showcasing the innovation, creativity and success of Belmont’s entrepreneurship students. Businesses in the idea, start-up and revenue generating phases were in attendance, and industries included design and photography, music business, restaurant, high-tech, fashion and apparel and various social ventures. Students discussed their business ideas, experiences with their ventures and how they forecast business growth. Elizabeth Gortmaker, director of Belmont’s Center for Entrepreneurship, said the event is a great avenue to showcase students innovation, creativity and success. “We had more than 600 students walk through the village to shop, learn and discuss each business with the student entrepreneurs. 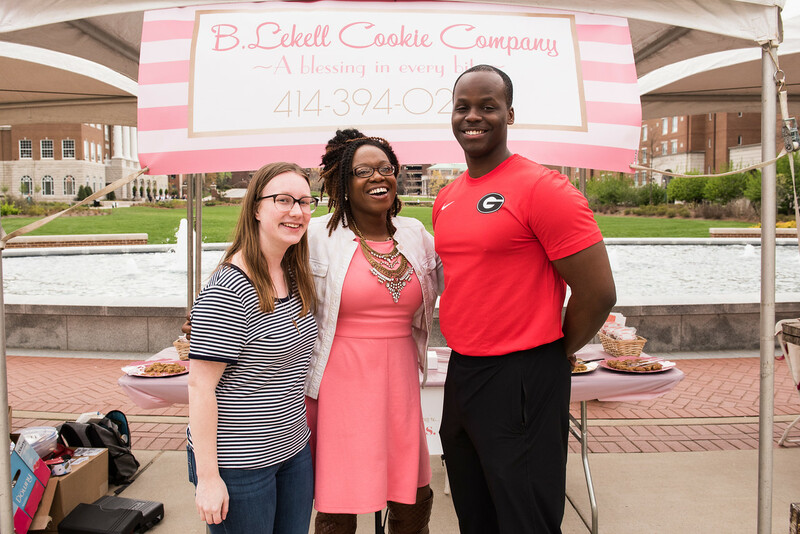 Not only does the village provide an opportunity for students to advertise their business, but it also gives them an outlet to gain valuable feedback and build connections with other students,” she said. Belmont’s Center for Entrepreneurship has been recognized as a Top 25 nationally ranked program by Princeton Review.